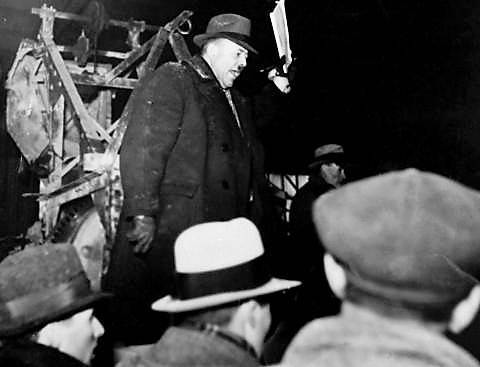 George Gardner held his first auction in London, Ontario in 1922. One of his early sales was selling horses for the City of London when they switched from horse-drawn to gas-powered trucks. Some of his major sales include Tecumseh House, at one time the largest hotel in the British Commonwealth and the contents of many of London's finest homes. Shortly after serving in the Royal Canadian Air Force in World War II, George’s son, Jason, became his partner in the business. When George Gardner passed away unexpectedly in 1952, Jason carried on as an auctioneer and appraiser. He purchased his first permanent auction house at 2 Langarth Street West, London in 1960. He sold for Fyfe's of Edinburgh throughout Canada and made international headlines including Time Magazine when he was hired by a Toronto syndicate to auction antiques from Castro's Cuba in the mid 1960's. Throughout the decade Jason held regular estate sales but also auctioned real estate, cars, factories, bankruptcies and even the contents of London's old city hall. In 1971 Jason purchased 186 York Street having outgrown the Langarth Street location, an historic building in the heart of downtown London directly across from the Via Rail Station. Grant Gardner, Jason's son, joined in 1975 and changed the direction of the business from a general auction company to one specializing in fine art and estate chattels. In 1999 the building at 407 Hamilton Road was purchased to host weekly Tuesday general estate auctions. These auctions quickly became a regular attraction for dealers, collectors and the general public from throughout Southwestern Ontario. 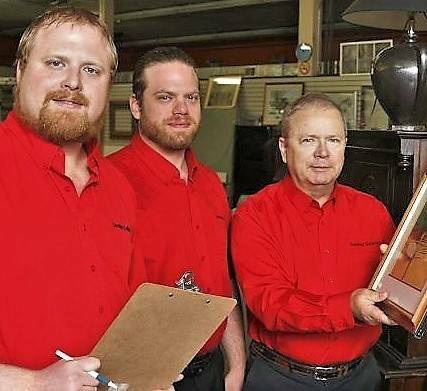 Mark and James, Grant's sons, are the fourth generation in a family tradition. In 2002 the Gardner brothers both graduated from Reppert's School of Auctioneering located in Auburn, Indiana. James and Mark conduct online auctions handling specialized collections such as Canadian and International fine art, jewellery, coins, silver, figurines, collectibles, furniture, glass, china and estate vehicles. In 2005 Jason Gardner retired after a career of over 60 years as an auctioneer and appraiser. His extensive knowledge of antiques was often called upon and appreciated after his retirement. In 2014, recognizing that the auction industry was evolving more and more to online sales, the York Street location was sold and a new integrated website and auction software suitable for mobile devices was introduced. All auctions are now out of the Hamilton Road location. Clients have reacted to the change with enthusiam, enjoying the free parking, loading area at rear of building, easy access to the 401 highway, not having to visit two locations and everything on one level. Alongside the live auction floor two recently constructed online auction showrooms, the "George Gardner" and "Jason Gardner" galleries display items for current online auctions. 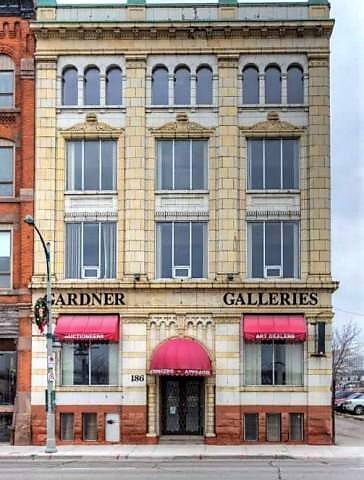 Now well into the 21st century, Gardner Galleries have conducted thousands of successful auctions including the contents of Castle Kilbride in Baden, Ontario, the Law Estate Collections of Toronto whose antiques realized one million dollars, a world record price of $184,000 for an 8.5 x 11in A.Y. Jackson oil in 2009, an Arthur Elsley painting which fetched $350,000, Florence Carlyle painting that brought a world record price of $115,000, Dow Canada Art Collection which broke several existing art sales records such as a York Wilson oil on canvas which sold for $11,500, Philip Goodwin oil for $75,000, Simon Willard clock for $64,000, a porcelain wine cooler for $23,000 and contents from the Guy Lombardo Museum. In October, 2011 Grant Gardner made headline news worldwide (including CNN, CBC and CTV) when a book, the Captain James Wallis album of hand-coloured engravings and watercolours was found in an estate residence clothes closet and sold for an outstanding 1.8 million dollars ($2,070,000 including premium). The strength of online auctions was shown in the spring of 2015 when a 1970 Jaguar E-Type 2+2 coupe from an Ontario estate sold for $110,880 attracting bids from across Canada, the United States, Europe and the Middle East. Gardner Galleries now conduct over 120 auctions per year with 50,000 lots sold annually and strive to give clients fast, efficient and quality service with proven results. Grant, Elizabeth, Mark, James and the entire staff are proud we are the oldest auction firm in Canada under continuous ownership and one of the select few family businesses to reach the fourth generation. Note: Gardner Galleries is not associated in anyway with other auction firms, including those using the same family name.